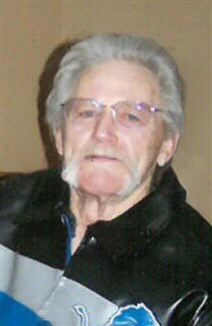 FLOYD — Robert “Bob” Paul, 77, of Floyd, passed away peacefully in his home on Wednesday, May 17. A funeral service for Bob will be held at 2 p.m. on Sunday, May 21, 2017, at Hauser Funeral Home in Charles City. A private family burial will take place at a later date. A visitation will be held from 5 p.m. to 7 p.m. on Saturday, May 20, 2017 at Hauser Funeral Home. Visitation will continue one hour before the service at the funeral home on Sunday. Robert “Bob” Lee Paul was born November 11, 1939 to Chet and Betty (Mathews) Paul in Bay City, Michigan. Bob grew up in the Bay City area, attending T L Handy High School in Bay City. After high school Bob began working in a variety of auto body shops; something he did for over 40 years. He met Sheila Valentine when he came to work for Valentine Brothers Body Shop in Dubuque. The two were married on May 25, 1991, by Pastor Dennis Niezwaag at their home in Charles City. While in Charles City he worked first at Walsh Body Shop, then he and his brother Larry opened Southend Collision. After years in the auto industry Bob transitioned into construction. He built cabinets and a variety of other projects, even toy boxes for all of his grandchildren. Bob loved to work with his hands. He enjoyed spending time working in his garden and building his custom motorcycle. He collected all kinds of Harley Davidson things, along with model trains and cars. When he had a spare weekend, Bob would take Sheila to flea markets and auctions where he couldn’t pass up the leftover miscellaneous boxes which might hold any number of great finds. Bob is survived by his wife Sheila; children: Briana Paul, Cassandra (Tyler) Mausser, Michelle Kline, Gloria Halstead, Robert Paul, Tina Westphal, and Corrine Paul; grandchildren: Hannah, Cooper, William, Grayson, and Ryan; siblings: James (Linda) Paul, Larry Paul, and Barb Buss; many siblings-in-law, and Matthew Merrill. He was preceded in death by his parents; daughter: Diana Champine; parents-in-law; three sisters-in-law; one brother-in-law; and Jesse Wilson.